Cook shared his thoughts with students from Birmingham, AL. 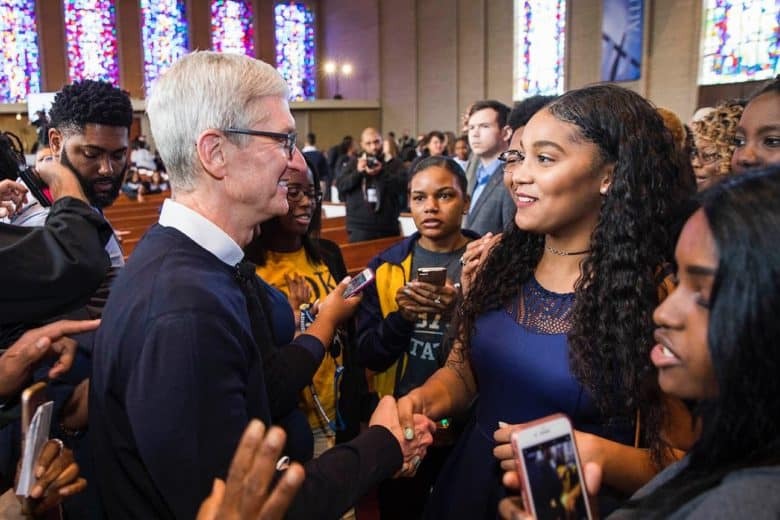 Tim Cook visited his home state of Alabama this week, and paid homage to American Baptist minister and activist Martin Luther King Jr. on the 50th anniversary of his assassination. Cook also met with a group of Birmingham, AL high school and college students, and talked about the importance of the civil rights struggle, the need to learn coding, and answered questions about his own career. Cook has often spoken about the importance of Martin Luther King Jr. In his office he keeps a photo of King, along with one of Senator Robert Kennedy. Answering a question about how to become a future Apple CEO, Cook responded that it comes down to hard work. He also talked about his love of his alma mater Auburn University, his thoughts on Auburn football, and why it is important that kids today learn to code.